The national news may not have picked this up, but there was an important story out of DC last weekend. 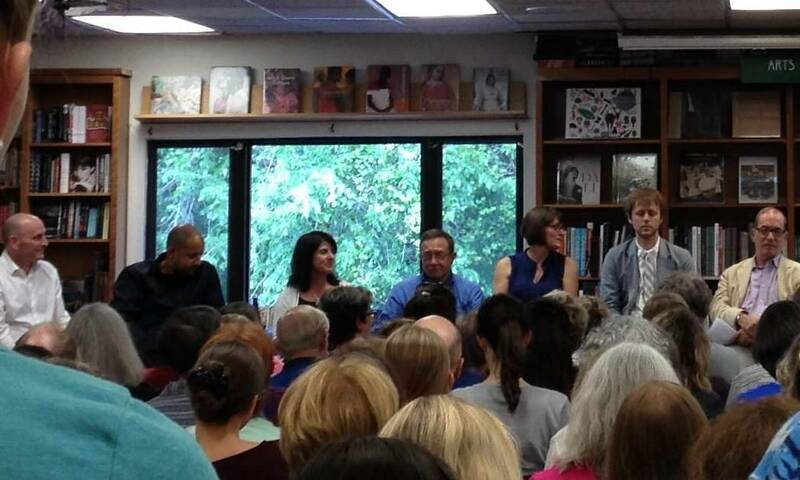 Gathering in our nation’s capitol, a panel of experts declared that the picture book is in fact alive and well. The Price We Pay: Does the high price point of picture books limit access for economically challenged populations? “We are pricing kids out of great stories,” Barnett lamented. He and Scieszka pointed to literacy programs that betray their cause by distributing low-quality books (often cheap movie tie-ins) posing as literature. Scieszka, the first ever National Ambassador for Young People’s Literature, made the simple but important point that “the way to get kids to be readers is to give them something great to read.” And while many of the panelists agreed that the art of bookmaking is thriving, Myers wondered if there is a danger in commodifying books as artistic objects–if we’ve reached a point of no return where books are no longer viewed as essential, but as luxury items. Marcus then provided a counterpoint by bringing out the nerd hammer and declaring the picture book to be actually quite affordable once you’ve “ammortized the cost over a year of reading”. It was only a matter of time though before the conversation took its inevitable turn to fluffy bunnies and birthday cake—but not how you might expect. Scieszka and Barnett are collaborating on a new book. The concept is that a child receives a book called Birthday Bunny, the most trite, cloying book imaginable (which Scieszka and Barnett wrote by “turning off their brains”). The kid then takes it upon himself to alter the text and pictures, transforming it into the book he actually wants to read: Battle Bunny. This is a fun concept that kids can relate to that just happens to feature a complex layering of visual and written language and challenges children to consider (consciously or otherwise) the intricacies and possibilities of narrative. This is both kid’s play and not–and exactly what makes me love the world of picture books.